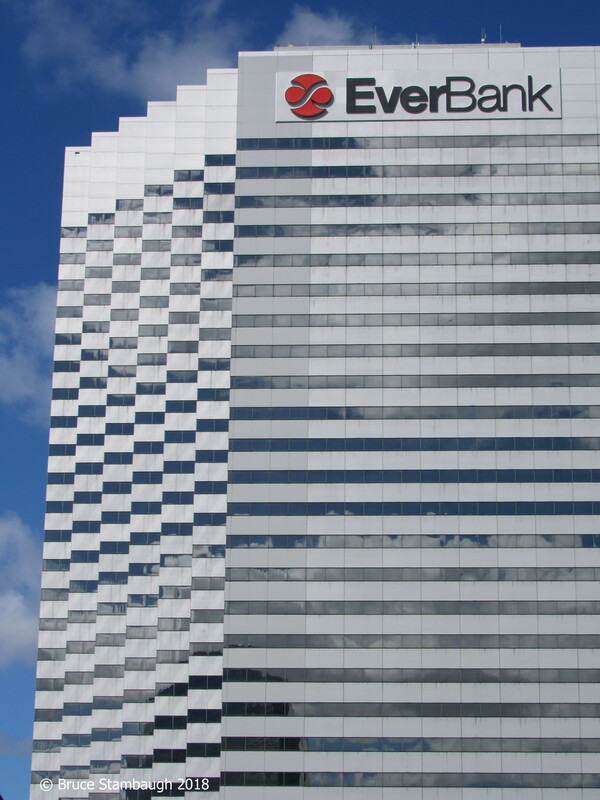 Squabbling for a corner office shouldn’t be a problem for this bank building in downtown Jacksonville, Florida. Given all of the off-set corners, every vice president should have an excellent view of the river and harbor below. “Architectural conflict resolution” is my Photo of the Week. 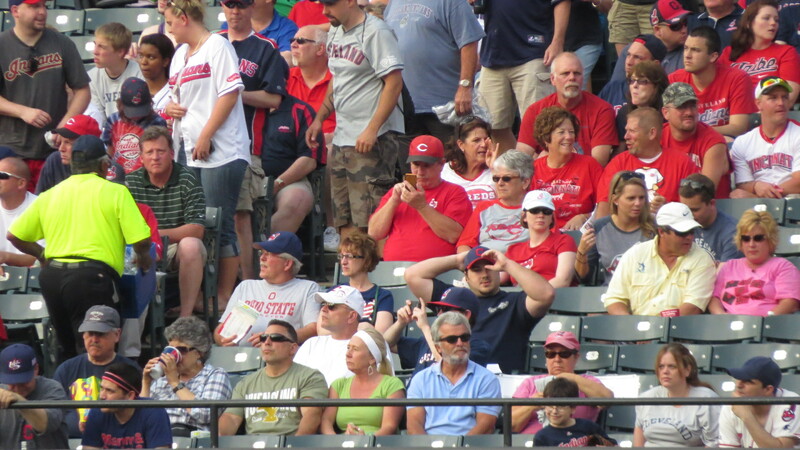 Baseball fans enjoying a game. I find people fascinating, a joy to watch. I can easily pass the time observing crowds at airports, sporting events, meetings or shopping. Humans come in a kaleidoscope of shapes, sizes, races and ages. They adorn themselves with a variety of intriguing duds and accessories. I marvel at and learn from their diversifications. 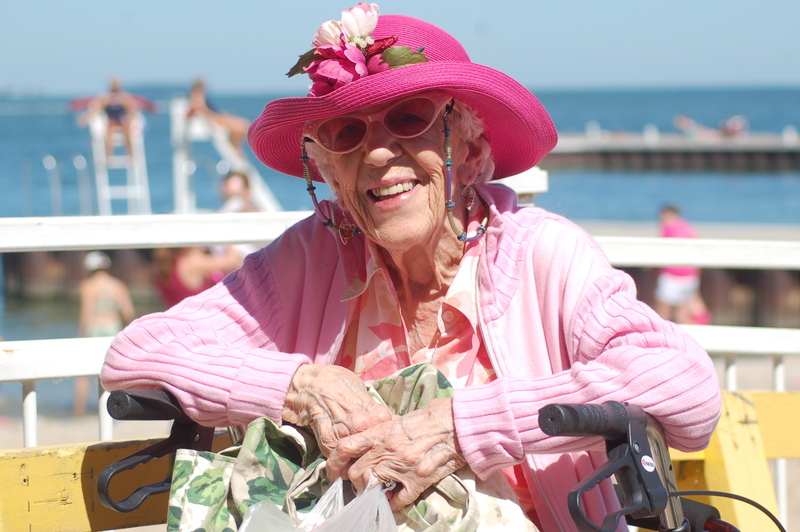 Marie was tickled pink that I wanted to take her picture on the dock at Lakeside, OH. I remember a specific time many years ago when the shoe was on the other foot. My wife and I were visiting her cousin in southern California. Barb had two daughters, ages two and three months. Our daughter was two months old. I was informed that we were going shopping one afternoon at the local mall. We were quite the sight and unintentionally created an intriguing distraction as we sauntered around the sprawling mall with a toddler and two infants in strollers and two lovely mothers and one man. When I volunteered to care for the girls while the women ducked into a few stores, the fun began. We became the mall’s main attraction. The kids drew passing shoppers in like they were magnets. I found myself engaged in conversations with people curious about the children. Were the babies twins? When I said they were born three weeks apart, I could see the mental wheels turning in the questioners’ heads. When my wife and her cousin, who are close in age, returned to check on us, the eyebrows really arched. People’s non-verbal communication revealed their conceptual inferences about one man, two wives, and three little girls. 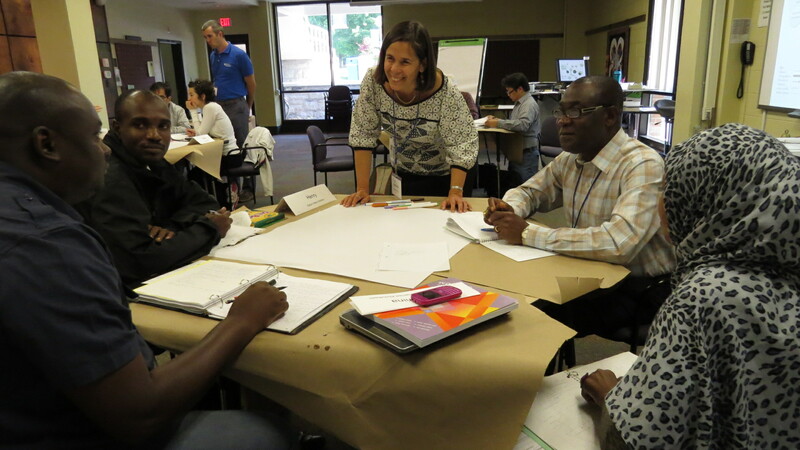 Dr. Catherine Barnes (center) taught the Conflict Analysis course during the Summer Peacebuilding Institute at Eastern Mennonite University, Harrisonburg, VA. In reality, that’s how we operate as social beings. We reach conclusions based on what we see, and interpret observations based on our own life’s experiences and values. Many times, like my mall experience, those assumptions frame and tilt what reality is if the truth is not properly explored. 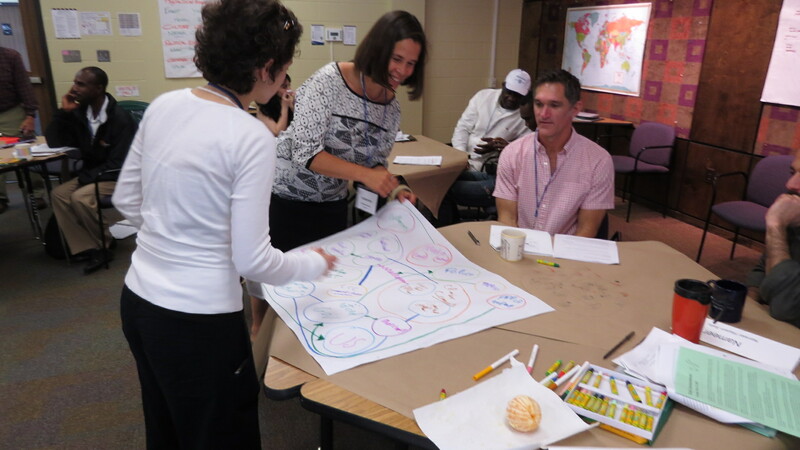 Recently I was asked what the single most important point I had learned at the Summer Peacebuilding Institute that I had attended in Harrisonburg, Virginia. The answer flowed easily. “The most significant concept I learned was that people are people,” I said. Not exactly profound, but true nonetheless. Not wanting to come across as cryptic, I further explained my seemingly glib answer. Based on what I had gained first hand from my global classmates, we all strive and often struggle for the exact same things. We desire basic human needs and rights regardless of our culture, race, religion, wealth, ethnicity, or gender. Much of the SPI class involved small group interaction among class members. Our modest class consisted of female and male inhabitants from four continents, 13 countries, and multiple races and religions. Yet, we were all there for one common purpose. 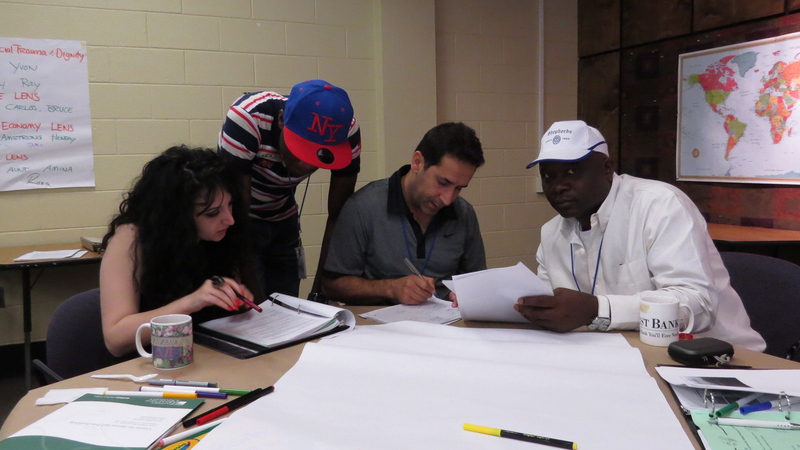 We wanted to gain practical and applicable methods for understanding and resolving conflict. To that end, the cultures, traditions, and primary languages of each class member became secondary to the overall goal. No barrier would deter our learning, thanks to an outstanding professor guiding dedicated students. We all had too much to lose by allowing prejudice to cloud our thinking. After all, most of the astute class members would return home to implement and teach the knowledge they had acquired. In too many situations, that would be done in hostile, dangerous, unstable conditions. Our class discussions easily revealed that people universally desire the same life goals. We all need food, shelter, security, identity, dignity and the freedom to grow and explore in an ever-changing, challenging world. No political bend could deny the obvious. Regardless of roots of origin, people are indeed people, and they ache to be treated accordingly. Friendships formed from the classroom interactions. The Conflict Analysis class of the Summer Peacebuilding Institute at Eastern Mennonite University, Harrisonburg, VA.
We have it pretty nice here in the Greater Holmes County, Ohio area. I have known that ever since I moved to the area just after the historic July 1969 flood. Ask locals, and they’ll tell you that it’s the best place in the world to live. I wouldn’t begin to argue otherwise. That doesn’t mean, however, that this is the only place to call home. Clearly, if it were, the countryside wouldn’t be the same. Pastoral settings would give way to a jagged urban scape and all the trappings that accompany it. For those who never venture afar from our comparatively protected environs, there is a danger with our self-satisfaction. Seeing the world with only our particular glasses can give us a distorted viewpoint on other cultures, socially, politically, economically and any other way you want to look at life. At times it can be good to change lenses. That means we sometimes have to get well out of our comfort zone to do so. We have to let go of what we know, and learn anew. Virginia’s Shenandoah Valley offers incredible views, like the morning mist rising out of the valleys. 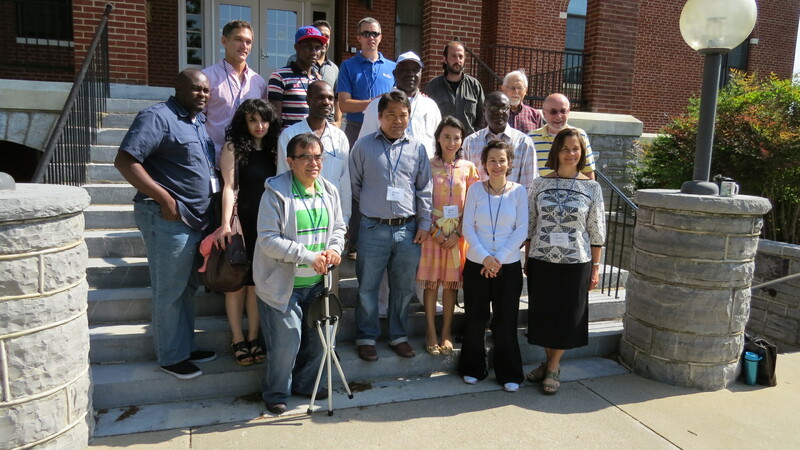 Recently I took an intensive graduate school course at the Summer Peacebuilding Institute at Eastern Mennonite University in Virginia’s lovely Shenandoah Valley. It’s a place as pretty as home, only old age mountains backdrop rolling, fertile foothills. 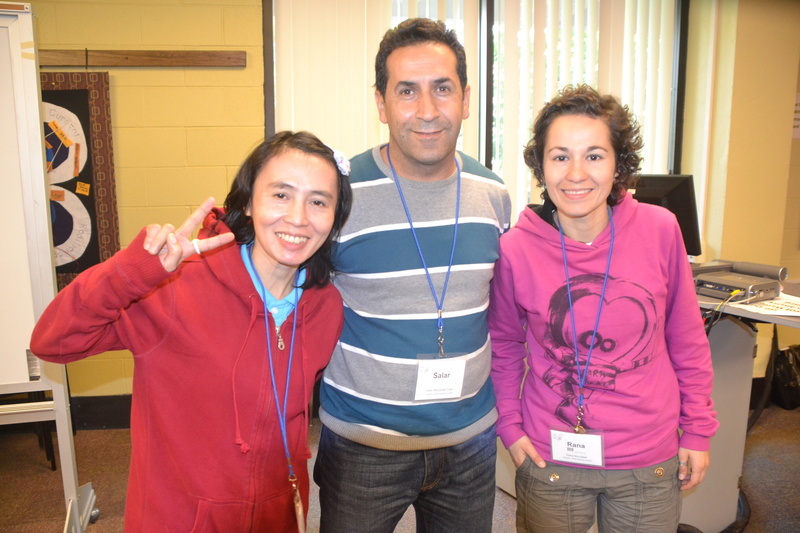 Of the 16 participants in the class, I was one of only three North American students. The others came from places like Azerbaijan, Thailand, Iraq, Kurdistan, Belgium, Ghana, Nigeria, Syria and Haiti. I would have struggled to find some of these countries on a globe. The students ranged from young adults to grandparents like me. Their given names were Amstrong, Yvon, Nurana, Carlos, Rana, Aunt, Ray, James, Oscar, Henry, Nameer, Ernest, Amina, Khant and Salar. They were pastors, government leaders, workers for non-governmental aid agencies, interpreters and teachers. Though our cultures, races and geographic origins varied greatly, we were there to learn about the various ways to analyze and understand conflict. Given the current situations in the countries represented, much useful information was certain to be shared back home. Much of the class time was spent in small group discussions and activities. In the classroom, we sat in groups of three or four, each day a different configuration, each day new and fascinating stories intertwined with the professor’s lessons. Their personal stories, shared privately, were compelling, if not fearsome. A pastor from Haiti called his wife every night and spoke to her from midnight until nearly dawn just to ensure his family’s safety. The consequences of war had destroyed the home of a young woman from Syria. Yet reconciliation, not retribution, was the aim of these devoted, considerate, inquisitive community leaders striving to promote peace. 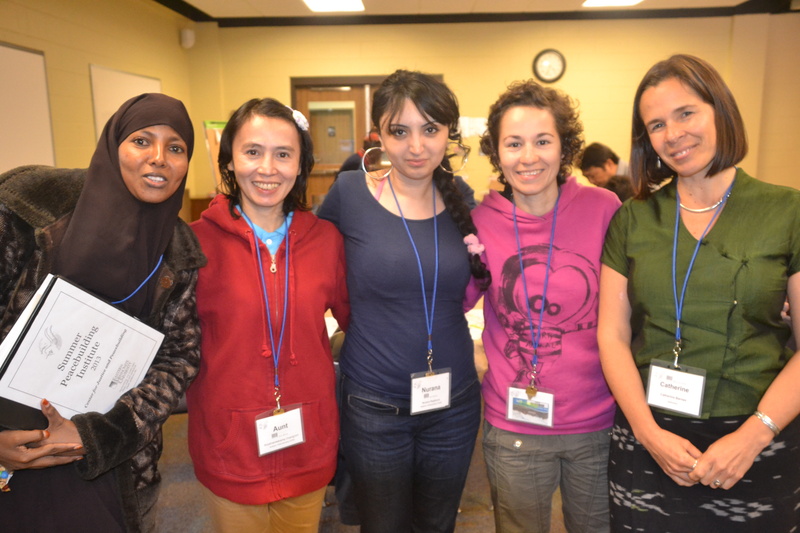 The dynamic women of the Conflict Analysis class of the Summer Peacebuilding Institute. Instead of focusing on how bad it was in their country or blaming other governments, these men and women were glad for the opportunity to learn how to dissect and resolve conflict. They would take what they had learned and apply it as best they could. Their goal was to improve the world around them, even if it was one person at a time. Where there was despair, they saw hope. “You are very fortunate,” he replied softly. I was humbled. All of us who live in our lush, agrarian area are fortunate. Occasionally it takes looking through other life lenses to fully appreciate our own home view. 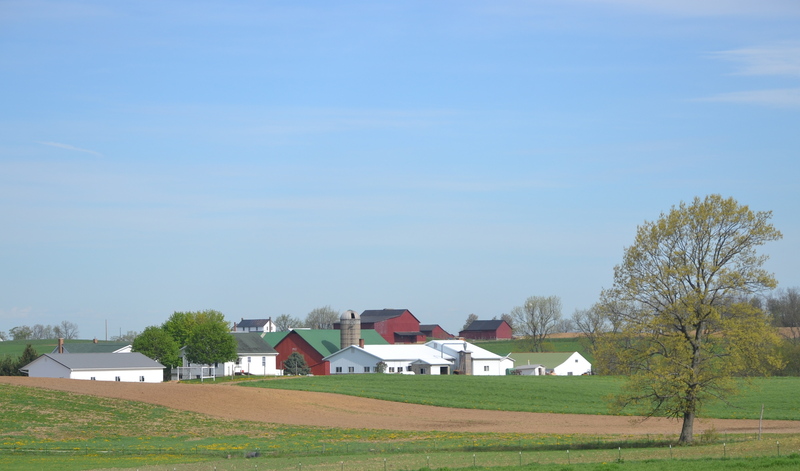 A typical springtime view in Holmes Co., Ohio.